Levels Kids is the multi-award winning children’s department store at City Walk Dubai. This is the second instalment of the Level brand in follow up to the now world-renowned Level Shoes based in Dubai Mall – the world’s largest store dedicated to footwear. The Level Kids store is a truly unique sensorial retail journey that intertwines luxury fashion for kids together with enchanting experiences. 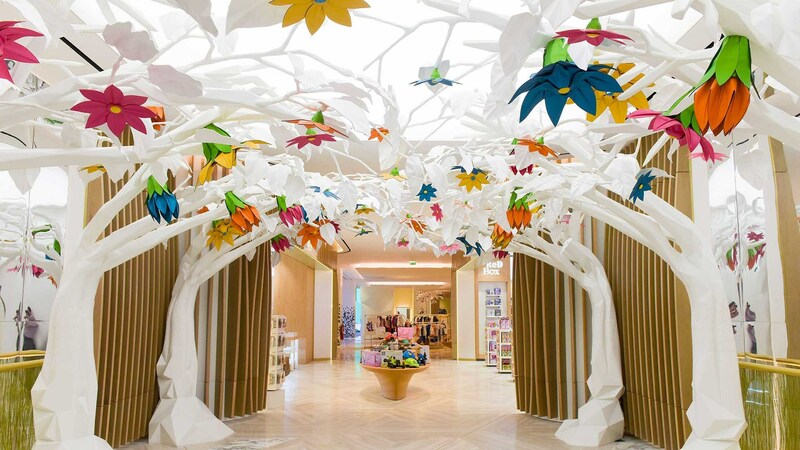 Spanning over 10,000sqm of retail space with every floor designed for a specific age group, children from 0 to 12 are fully catered for, not just in terms of clothing, but also with interactive activities to create memorable experiences. We helped to curate a signature sound for each floor of the store that intertwines the Level brand DNA with the target age group. We also worked with the store’s creative team to design a bespoke selection of soundscapes that help bring the store journey to life. Whether that’s on the ground floor diving into an underwater world with a submarine; or creating a whimsical, dream-like journey with fairies, colour and blossom in the Enchanted Walk; or a changing selection of soundscapes to bring the store’s seasonal window concepts to life – the result is a ground-breaking fusion of immersive visual concepts, music and sound effects which makes the store experience all the more captivating.